What “good” looks like – how do I rate? I’ve been writing quite a bit about Schubert recently (see here and here). I’ve said before that one area where this amazing composer really excelled was chamber music. This is to be expected given that he grew up learning the violin. However, soon after that instrument (started at the age of five), he also got his first lessons on the organ, and he became a decent player of the piano as well (although never to the professional standard of other composers, and he rarely performed in public). Many of his piano works (let’s keep “late in perspective, the guy died at the age of 31…) are nearly as outstanding as his chamber compositions. Namely, the late piano sonatas, the Impromptus, the Moments Musicaux and the Wanderer-Fantasie. I’ll be writing about all of these later. And finally, his third category of musical excellence was the Lied or song obviously. I’ve only recently started to fully discover the riches of this repertoire, and will also come back to this. So, with all these great recordings already existing (and you could easily add Paul Lewis, Radu Lupu, Paul Badura-Skoda etc. etc.) recordings, why bother buying another version in 2015? David Fray is a young French pianist. He got his lucky break when he was asked to jump in for Hélène Grimaud (they shared the same piano teacher) at some concerts. He has some other musical background: his father in law is the famous conductor Riccardo Muti. He already recorded several Schubert albums earlier, but this is the first time I noticed him. He plays the lesser known Sonata D894 (nicknamed “Fantasie“), and some smaller works, including two for four hands with Jacques Rouvier. What is so special about his Schubert? Two words come to mind: elegance and fragility. 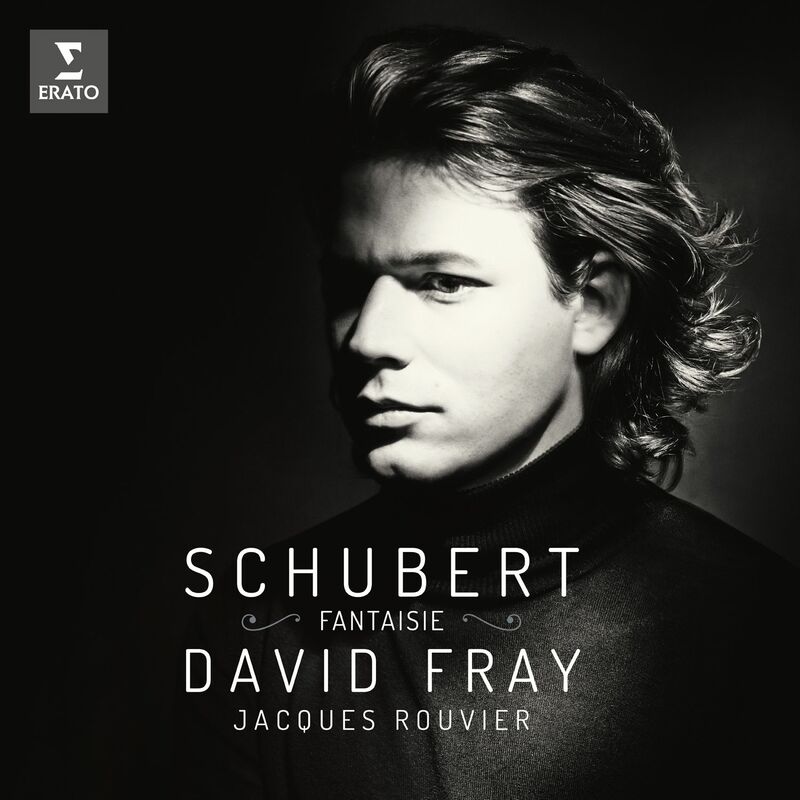 In some parts this Schubert sounds more like Bach than a composer who was at the beginning of the romantic period. With this comes an outstanding transparency, but also a really intense intimacy. Very very touching. Critics for once seem to like this album as well, Gramophone named it Editors choice, Classica gave it the “Choc”, 5 stars from Diapason, the only review I saw that didn’t like it was the BBC, calling it “Beautiful, certainly, in its way; but static.”. Sorry, dear old BBC; but I don’t hear anything static in here. Erato is a label that usually cares about sound quality, this one is quite well recorded as well, much better than the sometimes a bit harsh sound of some of Brendel’s old recordings, so one more argument to get this new recording (if you need one more). musicophilesblog – From Keith Jarrett to Johannes Brahms Blog at WordPress.com. ”The more susbtantial an individual’s aesthetic experience is, the sounder his taste, the sharper his moral focus, the freer—though not necessarily the happier—he is.."
Explore the world of Fujifilm's X Series and GFX!